Today I’m going to talk about my blogging experience and what I have realized what works for me and doesn’t work for me when it comes to followers. It has been slightly over a year now that I have been blogging and I am getting close to having 200 followers! I have also had a lot of good and bad change within that year. Here’s a list of things to get you started! 1. Pictures are worth a thousand words! Most people write blogs because they love writing. Their spelling is impeccable, they are always grammatically correct, and have the uncanny ability to keep your eyes glued to their page until they are finished amazing you with their words. Other’s like me, well we use pictures! I lack many of the skills written above and I am a very visual person so instead of WOWing you with words, I like to wow you with my pictures! 2. Don’t be afraid to be YOU! This was a tough one for me to learn. 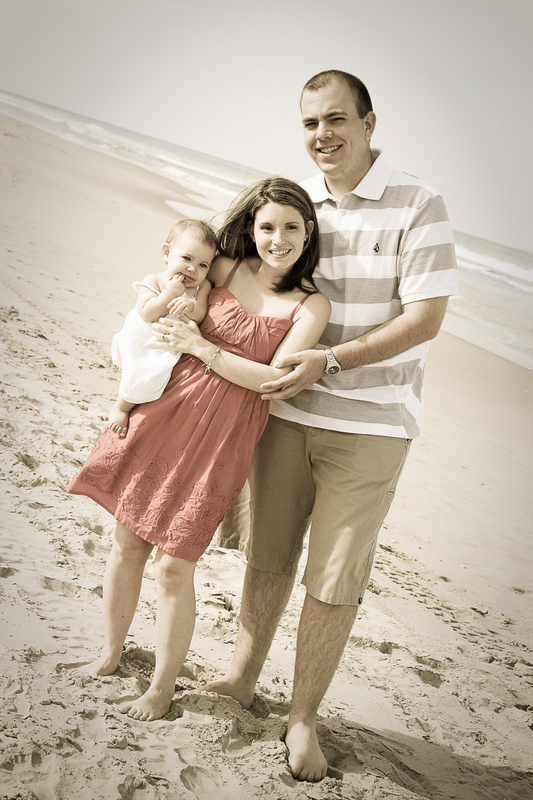 When I first started this blog my husband and I wanted to keep who we were pretty private. We didn’t want any pictures of our faces and especially Emma’s. Heck we didn’t even tell you our names for a while! Instead we used codes like E for Emma (E and I went to the park today!). After re-reading some of my posts I just rolled my eyes. How was a new reader supposed to know what the heck an E was let alone that it was my daughter!? Then our names just started rolling out. After that I said to heck with it all and posted pictures of us. When I started out all my readers were family and friends so there was no point in hiding who we were. After I started getting a little more of a following I realized that I didn’t want to hide who we were. I was darn proud of our family and then the pictures just started coming. 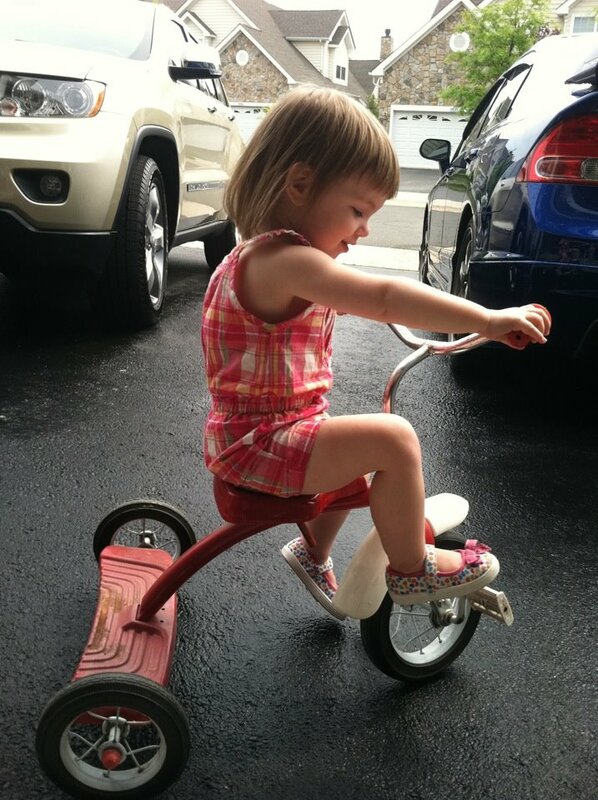 Honestly – it’s so much more fun letting you see a picture of Emma riding her first bike then saying, “Hey guess what! Emma rode her first bike today! It’s okay to be writing for you and or the readers but the most important thing you need to know is that if you aren’t interested in what you are writing about – your readers won’t be either. 4. Stick with it or change it up? I have heard many different opinions from bloggers that if you want consistent followers that you need your blog topics to be consistent and stay focused on what it is that makes readers keep coming back. Here’s where I beg to differ. As much as I love reading blogs that are about certain things (thrifty finds, organizing, home renovating) I like the occasional post about the writer themselves, their family, daily activities, and things that may have nothing to do with their usual topic! I also believe that no one is an energizer bunny and writing the same thing on a daily basis can make the things you love the most get REALLY old REALLY fast! Mixing it up is okay – who knows, maybe you’ll get a follower that would have never searched for you before but since you wrote an off-topic post they found you and love you! 5. Respond! It’s important to acknowledge when someone leaves a comment on your blog or emails you about it. I’ve made so many blogger friends that I fell in love with their blog because I had a connection with them that was stronger than just seeing their page. They contacted me to let me know they felt the same way, loved my idea, or just appreciated a post I wrote. It’s amazing what a little comment can do so as well as responding to the comments you get, don’t hesitate to comment on other blogs! Get connected and make new friends! I hope some of these things help you out while you are blogging and make an impact on your following! Thanks again to all those followers who have been here through my process of becoming the blogger that I am and to celebrate that. When I reach 200 followers I will be giving out random giveaways to my followers! ← Pinning It and I’m Not Talking About Pinterest! These are very good hints, thanks for sharing. Go for it Jodi. I have been blogging for about 4 months. Its very rewarding and a bit addictive at times. I appreciate your ideas and observations! I think being yourself is the most important. Congrats on your large following! Thanks for commenting and I can’t agree more. It may seem crazy but sometimes I feel like my blog is the one place where I can be just me and not have to worry about what I say or what I’m thinking 😀 I think everyone should feel that way about their blog! Thanks for that. I have been blogging for a short while and am glad to see I am already doing some of the things you suggest but have also picked up some good ideas too. What a GREAT summary! Couldn’t agree more. I’m still in the newbie not using my real kids names for other reasons but I totally get what you mean. It feels awkward at times. PS – my husband is a die hard Steelers fan so he would totally approve of your daughter wearing the Steeler’s tee instead. I agree with your points – well stated! When I began blogging I was just looking for a place to save articles I had written and to just write about things I found interesting and not have to worry about what I would do if I changed computers for some reason. After I discovered that some people liked reading my eclectic collection I had to make a conscious decision to not let that influence me and to just continue being myself, and even said so in one post, and your post affirms that ideal.